When Davin Norman started in the Rock School program at the Patel Conservatory, he never would have imagined himself playing jazz music. “I was a metal head,” said Davin, who now plays bass guitar with the Conservatory’s jazz quartet. Davin will perform with the quartet in the Conservatory’s Jazz Jamm concert this Friday. Prior to joining Rock School four years ago, Davin had taken guitar lessons at Paragon Music for a couple of years. “When my dad mentioned Rock School, I got really excited,” said Davin. He connected with fellow bandmate Parker Wilkson. “Parker introduced me to jazz, and my appreciation for jazz music rose immensely,” said Davin. Davin joined Parker in our now popular jazz quartet. The talented ensemble quickly gained popularity and has been asked to perform around town numerous times, including at the Straz Center’s recent Broadway Ball. In addition to playing with the jazz quartet, he continues to play with his Rock School band, Nfin8. The band performed at the Gasparilla Music Festival earlier this year and other venues. 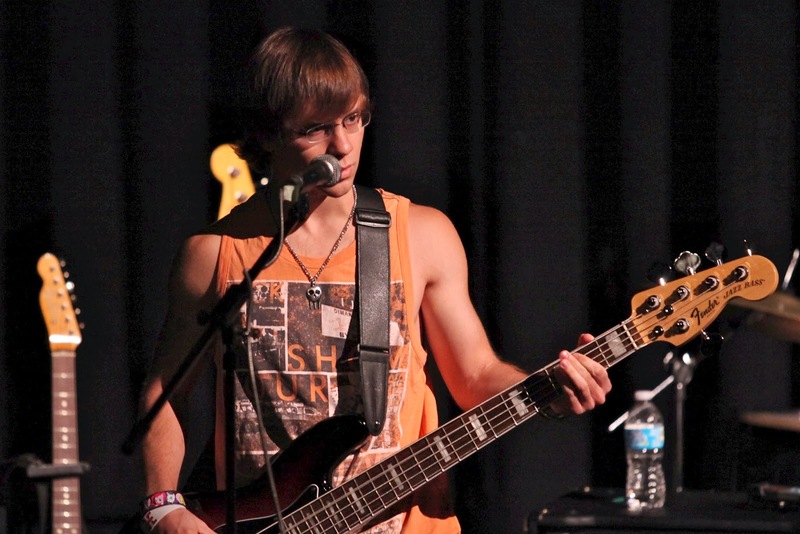 Davin is now a freshman at the University of Tampa majoring in information systems, with a minor in music. 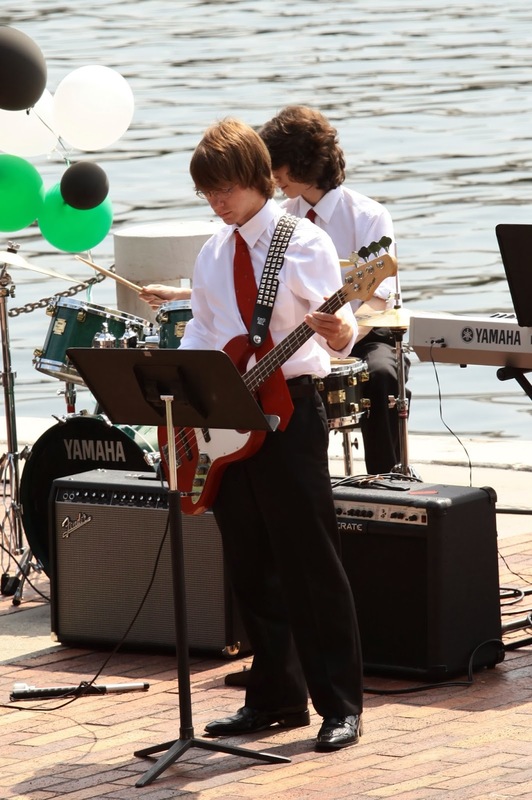 He says being in the Conservatory’s rock and jazz programs has helped him improve his music skills. He enjoys working with jazz instructor Matt Weihmuller. “It’s fun working with Matt. He’s a genius with music and amazing at what he does,” said Davin. The Conservatory will have music placement auditions for spring classes in vocal arts, rock, jazz and chamber music. For more information, click here or call 813-222-1002. Check out all of our jazz students in the Jazz Jamm concert Fri., Dec. 6, 2013 at 6:30 p.m. in TECO Theater. For tickets, click here.